In this paper, we present an efficient way for computing homology generators of nD generalized maps. The algorithm proceeds in two steps: (1) cell removals reduces the number of cells while preserving homology; (2) homology generator computation is performed on the reduced object by reducing incidence matrices into their Smith-Agoston normal form. In this paper, we provide a definition of cells that can be removed while preserving homology. 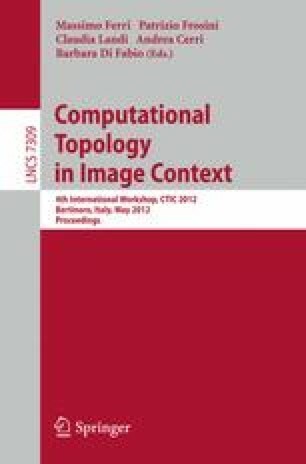 Some results on 2D and 3D homology generators computation are presented.